Students lean in to learn how to identify the roots of a tree. 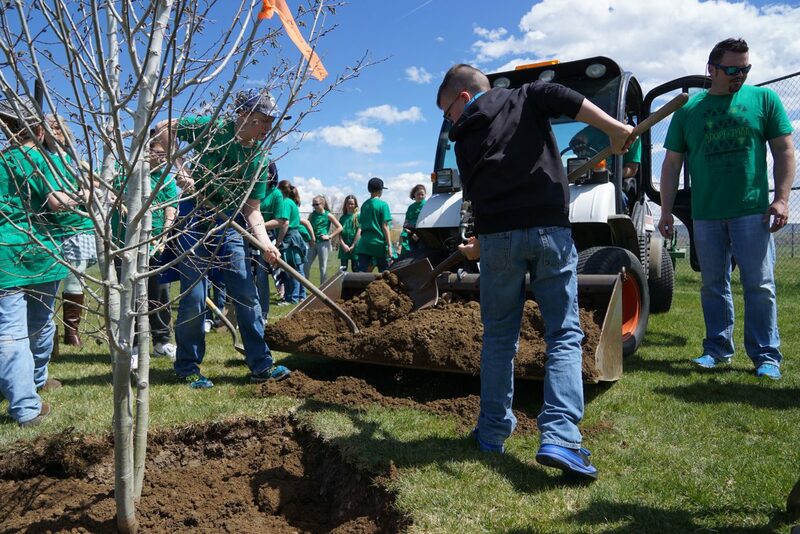 With students working on both sides, a clump of Aspen trees was planted in record time Monday, April 23. 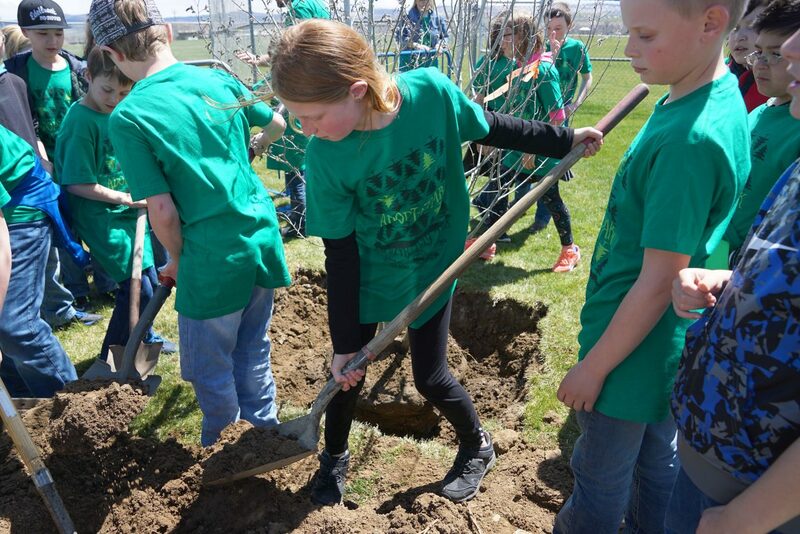 In celebration of Arbor Day, fifth-grade students from Ridgeview Elementary School plant a clump of Aspen trees as their first act in adopting Woodbury Park, part of a new partnership between the city and schools. Ridgeview Elementary School Principal John Haddan, in the white shirt, watches as students line up to take turns on the shovels. 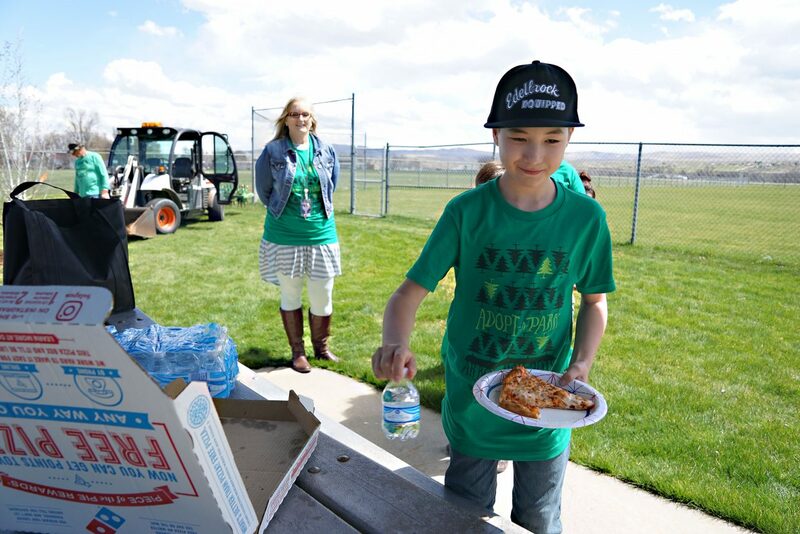 Free pizza was one of the perks of the first "Adopt a Park" innovative sponsored by the Bank of Colorado, Chaos Ink, the Arbor Day Foundation and Friends of Moffat County Education. 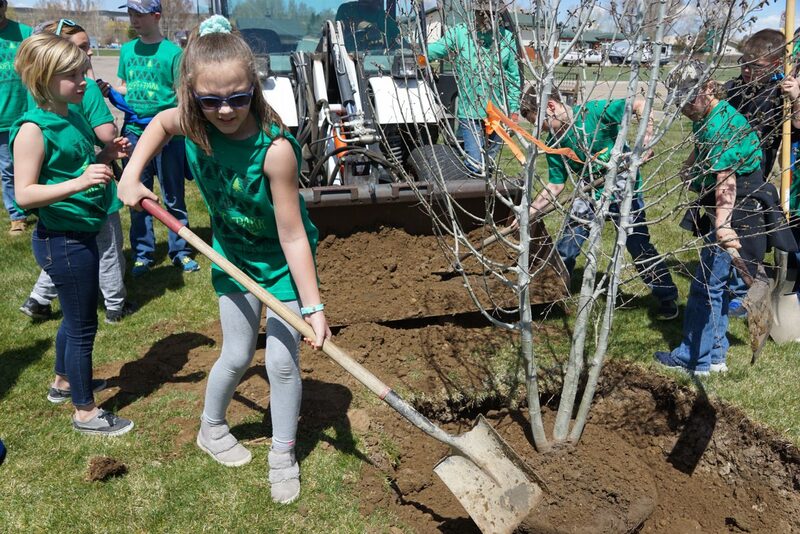 Helping to plant a tree in recognition of Arbor Day was the first act for elementary school students participating in a new "Adopt a Park" program. Students help City Parks and Recreation staff shovel dirt while planting a new clump of aspen trees at Woodbury Park, Monday, April 23. Trivia: When is Arbor Day? 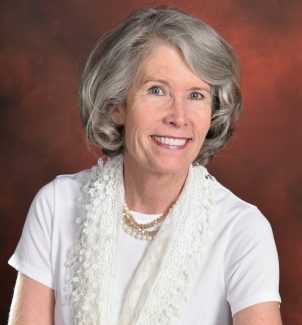 April 22 was selected as the date of observance for founder J. Sterling Morton Morton’s birthday. Other states began to adopt the holiday on a date to coincide with the best time to plant a tree. Several U.S. presidents have proclaimed the last Friday in April as Arbor Day. 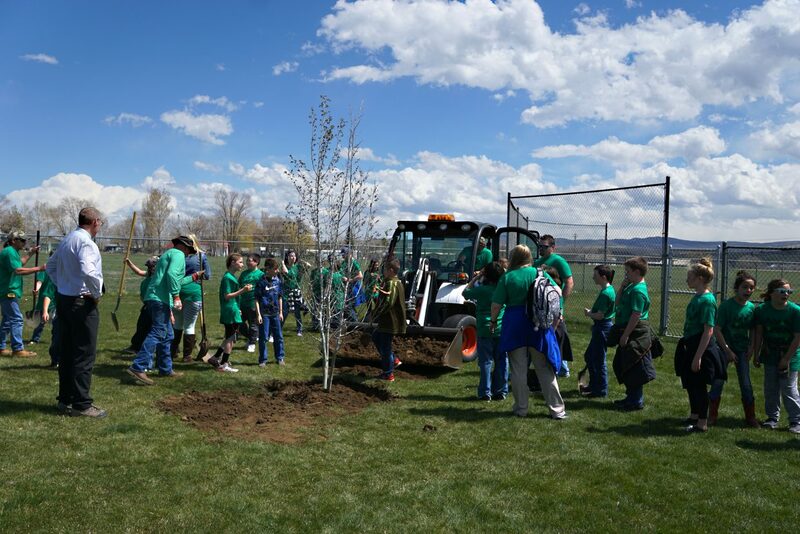 The Colorado state forester has declared the third Friday in April as Arbor Day in Colorado. 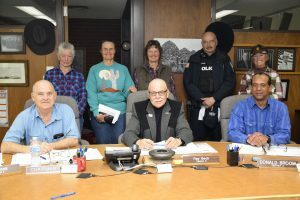 CRAIG — Craig’s kids have adopted four city parks in a new partnership between the city and elementary schools. 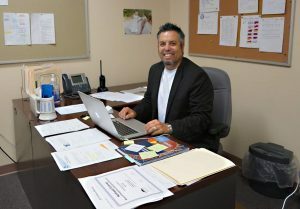 The vision behind the project is to connect Parks and Recreation to youth to encourage students to engage with, value and take ownership of their community parks, said Parks and Rec Manager Ryan Dennison. 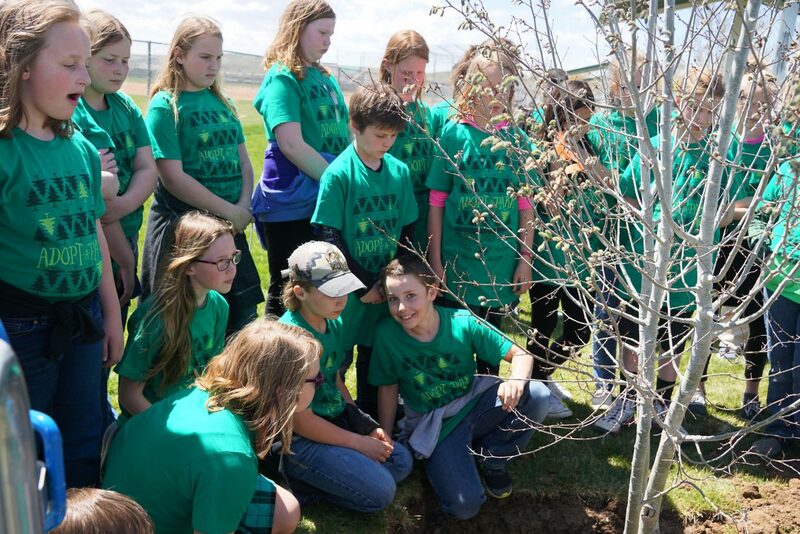 To mark the occasion, and celebrate Arbor Day, the first group of students participated in the program learned how to plant a tree. In Latin the word arbor means tree. Perhaps it was the shock of moving from forested woodlands around Detroit, Michigan to the relatively treeless plains of the Nebraska Territory in 1854 that inspired newspaperman J. Sterling Morton and his wife to first propose a holiday to plant trees. Or perhaps it was simply a love of trees. Regardless, the original Arbor Day was celebrated on April 10, 1872. “Prizes were offered to counties and individuals for planting properly the largest number of trees on that day. 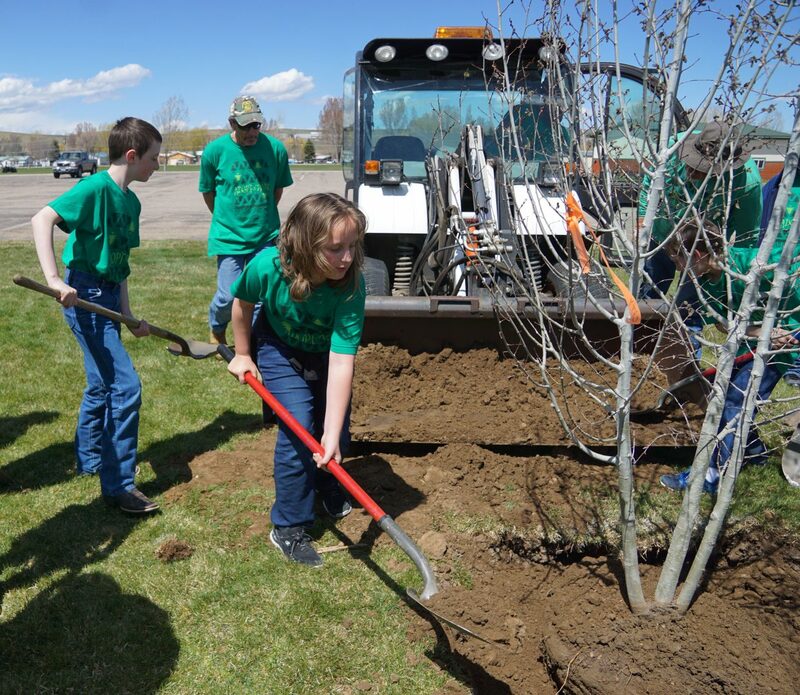 It was estimated that more than one million trees were planted in Nebraska on the first Arbor Day,” according to the Arbor Day Foundation website. 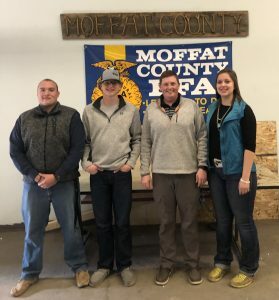 Moffat County students were also given “prizes” — pizza and an Adopt-a-Park t-shirt — from sponsors including Bank of Colorado, Friends of Moffat County Education, Chaos Ink and the Arbor Day Foundation. It was hoped the event would be hands-on, but the stormy weather Friday kept Sunset and Sandrock Elementary School students inside, so city staff took the program to them. Better weather on Monday allowed East and Ridgeview Elementary students to visit their adopted parks. A crew from the city that included Jeremy Sanders, Lee Fagan, Richard Waggoner and Jack Beasley helped prepare the trees for planting and remained on hand to help with the heavy lifting. 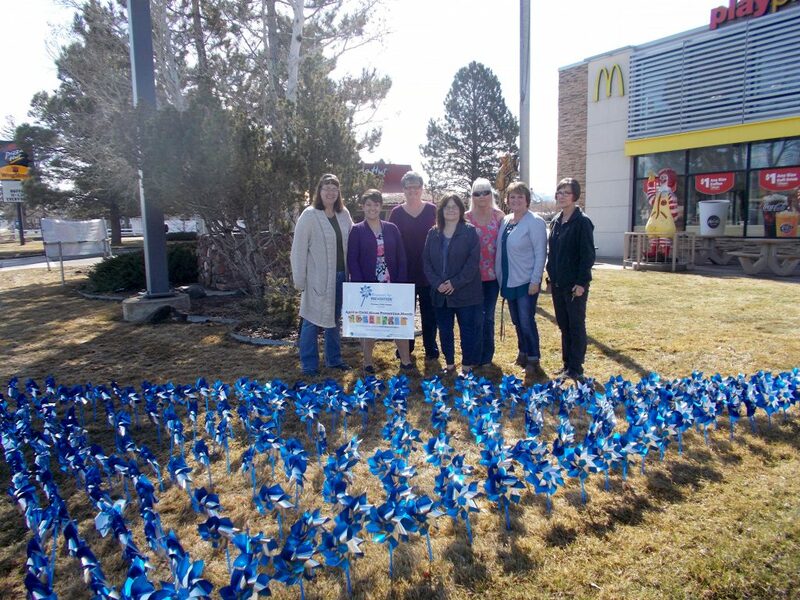 “I think it was a positive experience for them,” Dennison said. He hopes fifth-graders will continue to steward their parks, and he’d like to make adopting a park a part of future fifth-grade class activities. 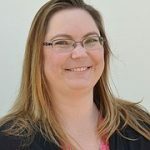 “What better way than to connect with our youth, and develop an organic connection, starting from the ground up,” Dennison said.